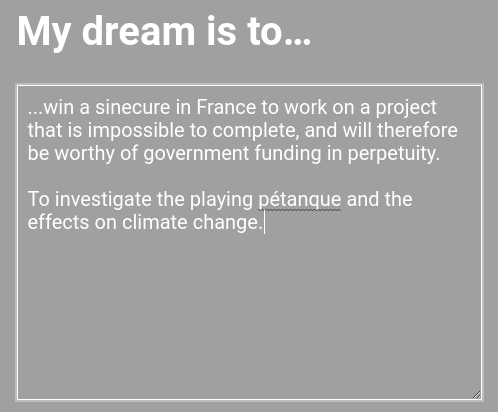 In need of a job and having a fondness for cheese, wine and pétanque, and knowing the difference between gauche et droite, and seeing the sad, pleading, almost tearful look of Président Macron as he begged for American scientists to save France, I knew what my duty was. I applied to Make Our Planet Great Again. The call is an extraordinary one. Président Macron was unhappy that President Trump withdrew from the Paris thingeemabob. So he put out the call for American scientists to emigrate. And he put it out in English! This may be the most astonishing event in modern diplomatic history. Not the plan to spend government money on an impossible task. That happens daily. No. A sitting French president asked Americans in English to come and show France a better way! I was so overcome by emotion, that I ran to the site and answered the series of preparatory questions, which you can see below. I was told I would hear back within a few weeks. Undoubtedly, Macron himself will swoon when he sees my words. Thus I am announcing now that I will be moving to France. Join the la résistance! 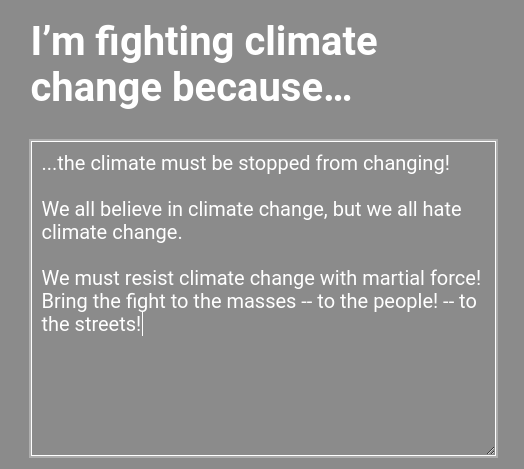 Fight the nasty climate invaders! 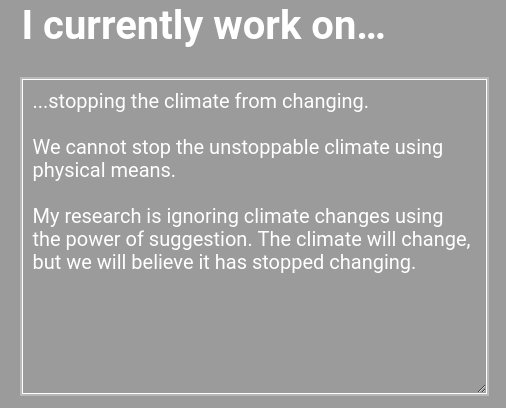 Let’s stop forever the climate from changing! I hereby propose Emmanuel Macron as the leading actor for a reenactment of the 1980’s “Allo Allo” BBC show. Le crayon est sur le bureau! Ninety-nine years ago my grandfather went to France to save it and the world from the Bosch hordes in WWI. May you have as much success as he had. He came back alive. Well, this is a great way to get rid of Bill Nye, isn’t it? And why haven’t all these “climate scientists” threatened to leave the planet if the climate doesn’t stop changing?? This is sort of like when Kenji joined the Union of Concerned Scientists. It makes me smile. I think Macron was speaking to Elon Musk rather than normal people. It’s a shame. Mostly because I wish this sort of call would come if France ever actually wanted to be French again. Do you have French ancestors? Come to France and try to fit in. Certainly your children will fit in and not blow things up like these idiots from the Middle East. You should have mentioned your staunch campaign to fight the spread of dihydrogen monoxide. France is the leader in this. @Gary, one of my grandfathers did the same thing with the same result. He never did talk about combat. He’d talk about many things, sometimes in soldier French, but never a word about combat. Though the grandmother, the wife of said grandfather and mother of my mother never spoke French to my knowledge, she’d tell him to quit cursing in French. Only later did I realize she’d been very much correct. There is a question which nobody is asking, perhaps the French will solve it; How many lightbulbs does it take to change a climate? It depends on if they are LED correctly. HMmmm… You can lead a horse to water, but a lightbulb must be LED. Oppose, I meant this French cheese. Not to pull rank on you, but I have been a Jr. Fire Marshall for years, recognized by the U.S.Fire Administrator. I assume I can help as well. Next Next post: Trump’s Election Causing Disease!